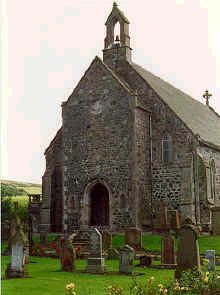 The Carrick, Ayrshire - monumental inscriptions pre 1855 is a publication of The Scottish Genealogy Society, edited by Alison Mitchell. 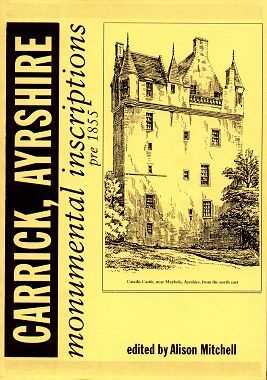 This book is one of about 15 other monument indexes for Ayrshire found at The Scottish Genealogy Society, Publications and Sales which you are encouraged to visit and patronize. If any viewers have photos of the cemeteries below and would like to contribute them for display here please contact the site administrator at admin@maybole.org.